DIY Raspberry Pi Arcade Table #piday #raspberrypi @Raspberry_Pi « Adafruit Industries – Makers, hackers, artists, designers and engineers! 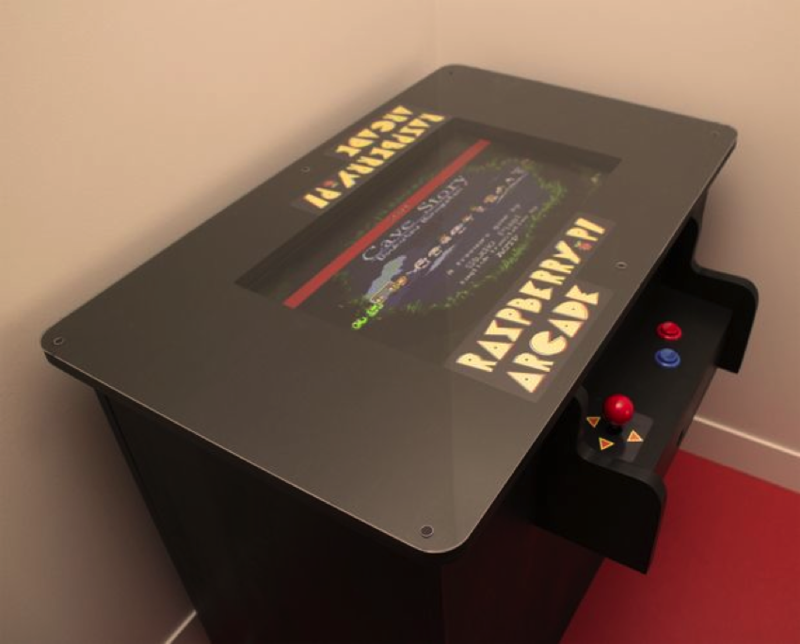 In this Instructable I’ll show you how to make your very own “classic” arcade table with a Raspberry Pi for hours of retro-gaming goodness. The design for the table is inspired from 1980’s cocktail arcade tables, the kind you might still find in the dark corner of a pizza parlor. These tables were rather bulky and incredibly heavy due to the clunky power systems and hefty CRT. Thankfully, electronics have slimmed down to the point where we can easily recreate the arcade without the bulk. Before making anything, I made a 3D model in Fusion 360. The final cabinet is solid black, but I changed the appearance of the model to more easily distinguish the separate components. From this model I was able to create accurate dimensions that I would be able to easily cut with woodworking tools.